This annual golf tournament, which was created by Rene, a JCI Kelowna member, will be bringing together over 140 professionals for an exceptional afternoon on the links. Join us for 9 holes of golf and dinner on July 20th, 2018. 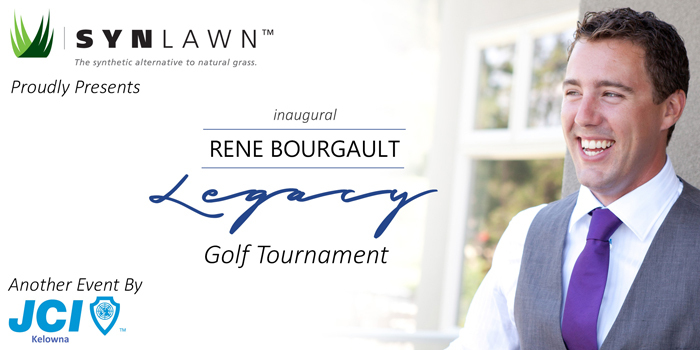 The proceeds from this tournament will support a grant in Rene Bourgault’s name to help motivated young entrepreneurs develop their businesses. A portion of the proceeds will also be used to help fund professional and entrepreneurial development programs for local JCI members.